Padded shoulder straps are adjustable for comfort and reinforced for durability. 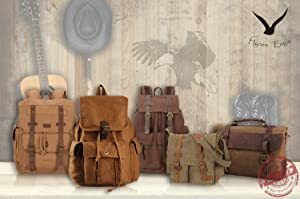 Go back to school with your essentials neatly stowed in the Hynes Eagle Lightweight Canvas School Backpacks. 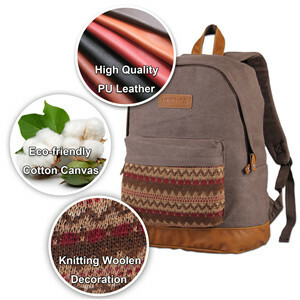 This bohemian style, lightweight canvas backpack boasts a spacious zippered main compartment with plenty of room for your laptop computer or for your books, binders, folders, and jacket, plus all your personal belongings. It has a faux leather bottom, padded shoulder straps, and a web haul loop for carrying versatility and comfort. 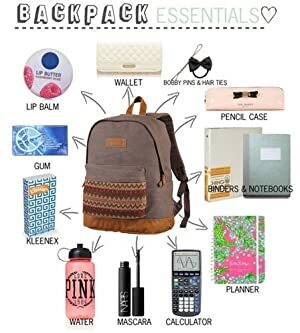 The Cute Backpack has a front utility pocket which contains pen loops and open slots for quick access to your cell phone, PDA, and other electronic devices or small items. Durable cotton canvas, soft, eco-friendly and lightweight. Bottom reinforced with high quality PU leather trim, beautiful and durable. Colorful knitting woolen decoration with bohemian style, cute and make you special. Front utility zipper pocket provide quick access to your most frequently used items. 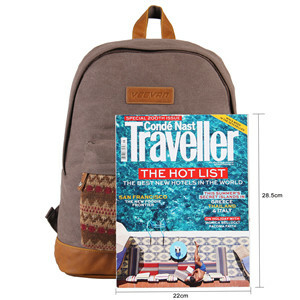 Fabric-lined interior is roomy for your necessaries , a zipper wall pocket provide more security for your belongings and an unpadded sleeve will fit up to 14" laptop. Adjustable & padded shoulder straps comfortable for carry. 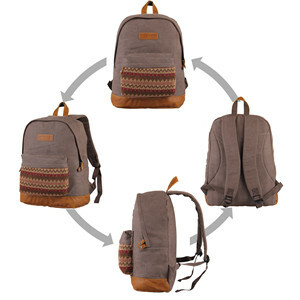 What you can put in this Cute Canvas Backpack? 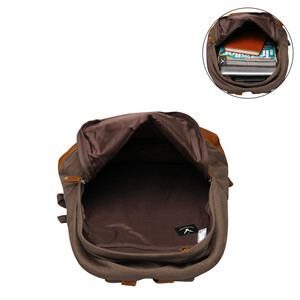 - You can put: 2-3 A4 books, iPad, 14-inch laptop, glasses, wallet, keys, cell phone, document, clothes or others in the bag. - Applicable people: Women/ Teen Girls / Boys and Girls/ kids / Teenage /Primary School / Middle School / High School /College etc. - Easy style using for: School, Hiking,Shopping, Travelling etc. Also great for Casual Daily Used.